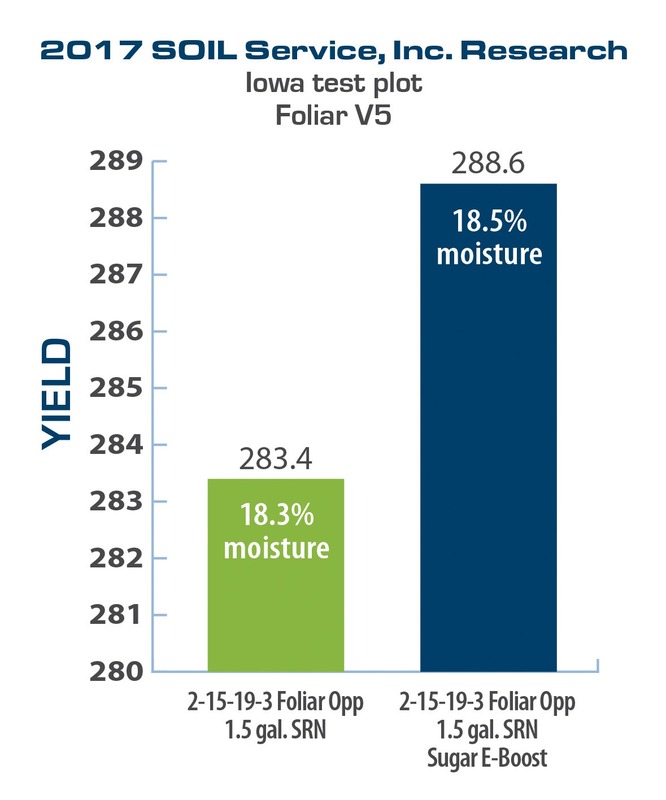 Foliar feeding has become more and more popular among producers who want to maximize yields. For foliar application, we recommend Foliar Opp® and slow release nitrogen. If you want to add 10 to 15 bushels of top-end yield in corn or 5 to 12 bushels for beans, these are products you should strongly consider. Because both products are effective in corn and soybeans depending on the situation, our experts will recommend the combination that is right for your crop and the current growing season. Foliar Opp is our tested orthophosphate potassium liquid fertilizer plus a trace element package. We have developed two versions of this product based on the unique need of grass and legume crops. 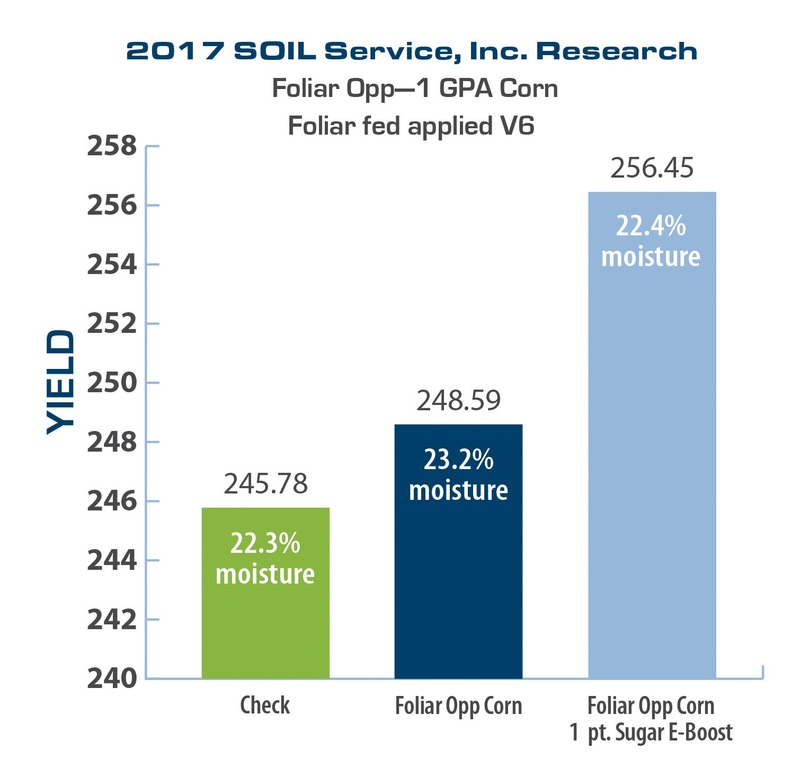 Foliar Opp Corn and Foliar Opp Beans each have a specific blend of micronutrients to help plants maintain proper nutrient balance. Our Foliar Opp products efficiently feed both soybeans for increased pod set and corn for improved ear set and size. This means you can expect an increase in both yield and quality in beans, corn, alfalfa, wheat, pasture, and all other crops. Foliar Opp application is simple: a one-pass solution with a low application rate of 2–3 GPA. It is non-corrosive on equipment and is safe for Roundup tank mixing. This product is available in bulk and a convenient 275-gallon, mini-bulk tank.